What Notes Are Guitar Strings Tuned to? Guitars have six strings. The thicker strings located at the top of the guitar create lower notes and the thinner strings at the bottom create higher notes. A typical guitar, depending on how it is tuned, has a pitch range of at least five octaves. An octave is a harmonic interval of 12 semi-tones and is a common reference point for pitch. There are various ways to tune a guitar, but standard tuning is the most common in western guitar music. The most common guitar string tuning is, from low to high: E,A,D,G,B and E. Each note in the sequence is an open string. The interval between each string is a perfect fourth, with the exception of the interval between G and B, which is a major third. This harmonic configuration enables guitarists to form a range of melodic and harmonic structures using only six strings. While many other instruments are restricted to one or two keys, the guitar can be played in any key. Some applications call for a variation on the standard tuning approach. By tuning each string down from standard tuning by the same pitch, you maintain the harmonic interval structure between the strings, but lower the pitch of the open notes. This is called down-tuning. Heavy metal music commonly calls for drop tunings as the lower strings have a heavier sound. 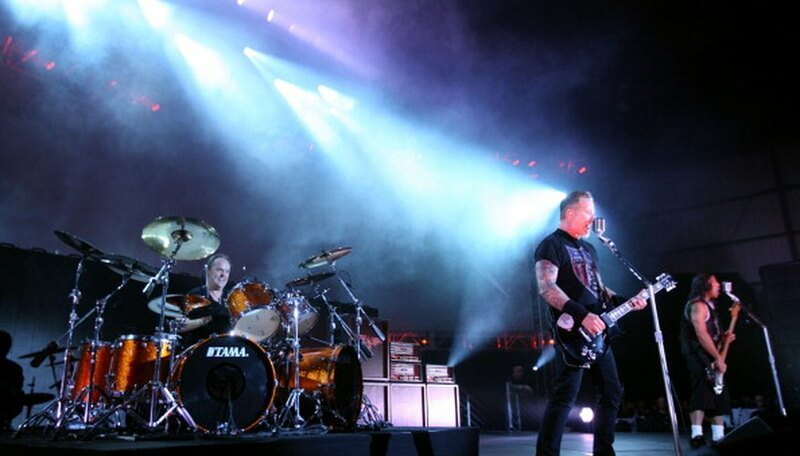 Metallica band members tune their guitars down a half-step, so the strings are tuned to E flat, E flat, D flat, G flat, B flat and E flat. Drop tunings are similar to standard tuning, but the low E string is tuned down to alter the interval between it and the A string above. 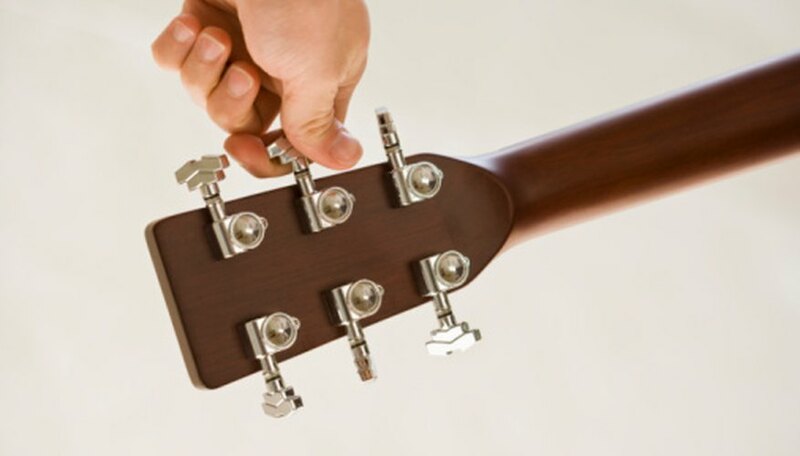 The most common drop tuning is dropped-D. The low E string is tuned down a full step to D. The interval between the down tuned string and the A is a fifth. This tuning configuration lets the player form a minor 5 power chord with one finger, as all of the necessary notes are now located on the same fret. If you strum a standard tuned guitar without pressing any frets, the result is an uninteresting and harmonically weak combination of notes. By tuning the open strings to make a chord, the tonal possibilities of open strings are increased. G major open tuning is common in folk and slide-style guitar. The guitar part on “Wild Horses” by the Rolling Stones features an open G tuning. The strings are tuned to GDGDBG.